How many times do we wish we could be more—more confident, more exciting, more daring? How many times do we wish we could zoom away to who-knows-where? Or just go off-roading on a whim? Or even have the courage to take the tiniest parking spot left? Take charge of your life again with Nissan Intelligent Mobility. It’s redefining the way we power, drive, and integrate our cars, making our ride through life more confident and thrilling. Nissan Intelligent Mobility lets you dare to be more—more fearless, more fun, more adventurous. It transforms a car into a responsive partner, always looking out for you and around you—giving that whole new level of confidence. The Nissan X-TRAIL is perfectly equipped to jump in and take action whenever you’re in trouble. 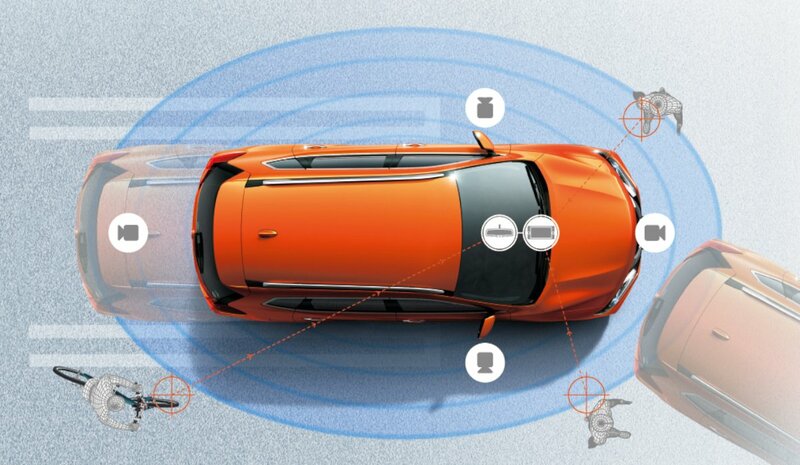 The Intelligent Forward Collision Warning and Intelligent Emergency Braking is your best friend in the everyday traffic gridlock. It monitors the car ahead, and informs the driver of the need to slow down. It even brings the car to a stop to avoid an accident. Safety begins with great visibility. 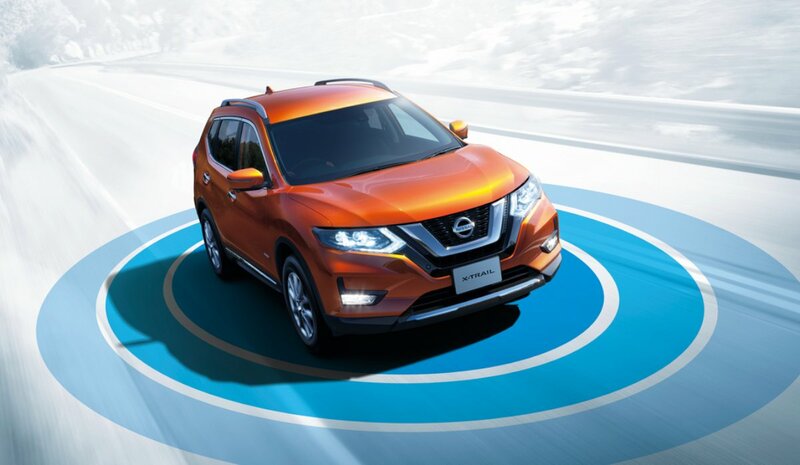 Nissan does that and more by offering a virtual 360-degree bird’s-eye view of your surrounding with the Intelligent Around View Monitor; there’s even a selectable split-screen close-up of the front, rear, and curb side. Available on the Nissan X-TRAIL, and now the Nissan Navara and Nissan Patrol Royale, you can literally see what’s happening around your car—even small objects or little kids. This certainly comes in handy when parking. Now you can have the courage to take that tight looking parking slot with confidence. In addition, when parking, thanks to the rear-view camera, it makes back-in parking or maneuvering a breeze. No more need to twist your neck when backing. This works in sync with the Motion Object Detection that also warns of an approaching vehicle when reversing. Aside from all-around visibility, Nissan gives you the ability to sense more around you with the Blind Spot Warning. You can now change lanes with sureness as this system warns if it detects any vehicles in the blind spot area behind the car. 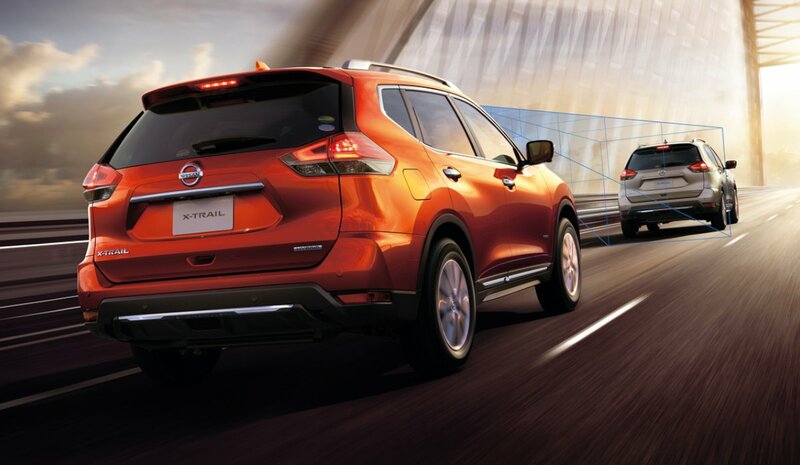 The Nissan X-TRAIL is equipped with Intelligent 4x4 that gives you more control and a smoother ride. It maximizes tire traction and measures wheel slip and instantly distributes torque. You can now dare for more adventure with confidence. 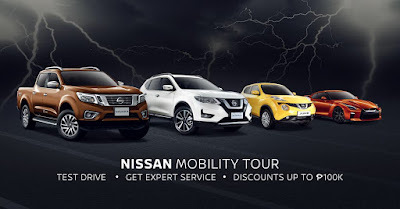 Nissan is offering everyone a chance to Dare To Be Bold through the Nissan Mobility Tour. Be part of the fun and adventure! 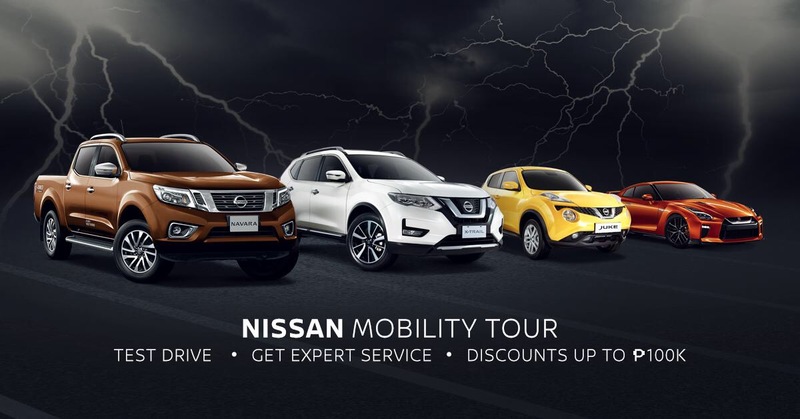 Experience Nissan Intelligent Mobility in action with the Nissan X-TRAIL, Nissan Navara, and other models. Selected Nissan models will be offered with discounts ranging from P 5,000 to P 100,000. Event grounds open at 10 AM and closes at 9 PM.